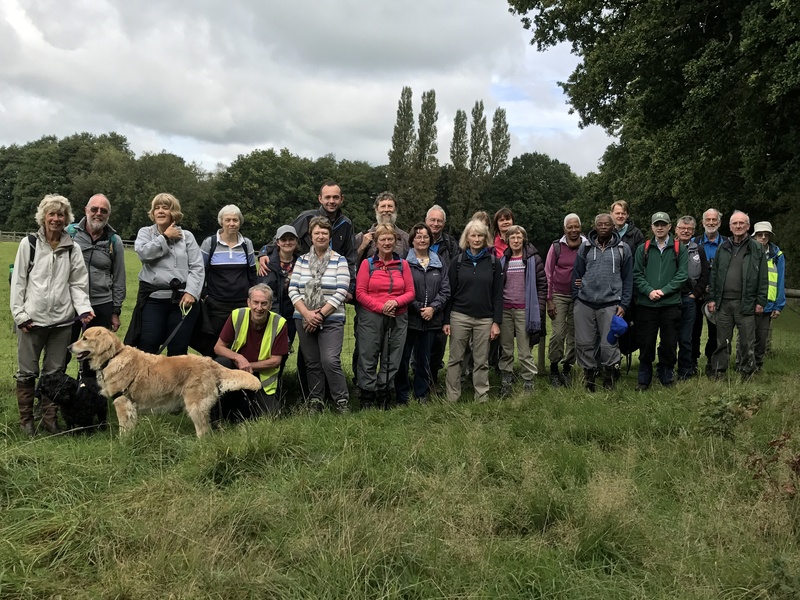 On an overcast but thankfully dry morning last Saturday, I was very pleased to be joined by twenty five other walkers for the seventh and penultimate walk in this series for the Blackwater Valley Trust. We met at the church of St James in Finchampstead. St James’ is an ancient Grade-1 listed Norman Church built on a commanding spot overlooking the Blackwater Valley, a place that people have been worshipping on this site for nearly a thousand years. It has an old Roman earthworks around it and was probably built on a pagan temple. The church has had major developments over many centuries but has been described as a ‘reverse tardis’ as the interior size seems smaller than what would be expected when viewing from outside. I must revisit it on a day when the tower, built 1720, is open to the public. We followed the almost one mile long path to descend to Eversley and then turned left to pick up the Blackwater Valley path beside Fleethill Farm and Fleet Copse. We then turned along Longwater Lane with its interesting Catherine of Aragon plinth, before passing East Court, and a climb back up to the church and manor house. So a big thank you to everyone who came along, it had been a six mile walk with only a couple of moderate slopes and I hope everyone enjoyed it. As always there seemed a good spirit in the group and I hope to see everyone again next month. 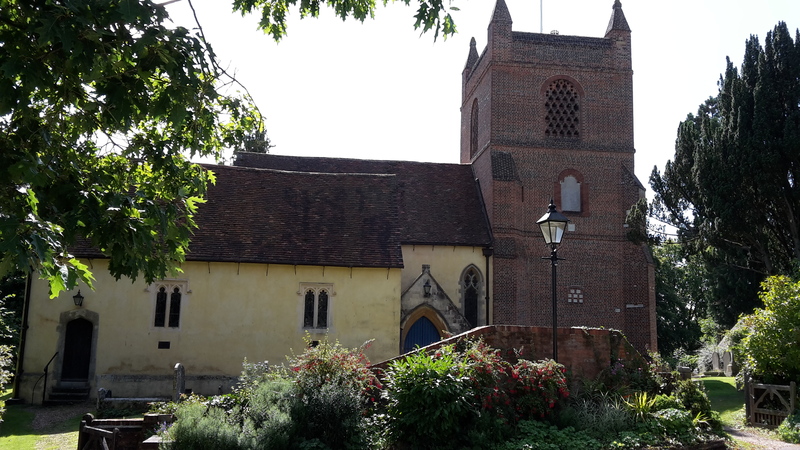 And also thanks to the Friends of St James Church for allowing us to use their car park, any profits from the walk will be donated to the group for help with their aim in maintaining the church. This entry was posted in Events, Volunteers and tagged BV Trust, Finchampstead, walk. Bookmark the permalink.